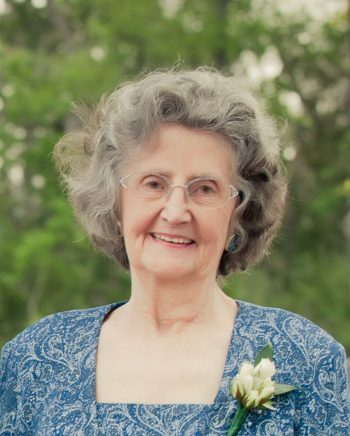 On January 20, 2019, the Texas Homeschooling community lost an indomitable spirit and homeschool pioneer with the passing of Ginny Baker. “Everything is education,” said Mrs. Baker, remarking on the learning opportunities life provides. The Texas homeschooling community owes a great debt of gratitude to Mrs. Baker’s courage and leadership, as well as lifetime support of our cause. Thank you. Virginia “Ginny” Nancy Birt Baker was born August 22, 1929, in Grand Rapids, Michigan. She moved with her family to Texas when she was 10 years old. She attended Highland Park High School and Southern Methodist University, graduating with a Bachelor of Arts in interior design and a triple minor. She was a member of the Chi Omega sorority. Ginny, as she became known, decided she wanted to see the world and traveled to Europe to work as a civilian for the United States Army in Gelnhausen, Germany, where she met and fell in love with Charles “Chet” Baker. They were married in 1956. Four children followed; Juliette, Christopher, Nancy and Matthew. Elected State Textbooks Chairman of the Daughters of the American Revolution in the 1960s, Ginny evaluated public school textbooks for Mel and Norma Gabler of Educational Research Analysts. She testified numerous times in Austin before the state Textbook Committee and wrote a newsletter that was distributed to every Texas DAR chapter. Ginny noticed at the end of her son Chris’s kindergarten year that he had not learned all his letters and was at risk of being held back a grade. Ginny researched and found a phonics program, teaching him over the summer. When tested the following September, Chris tested on a 5th grade reading level. She also taught Juliette, who entered the 2nd grade reading on the 7th grade level. Although the private school the kids were enrolled in immediately adopted the phonics program, a few years later, in September 1972, Chet and Ginny decided it was in the best interest to teach their children at home. Over subsequent years, the Bakers lived and homeschooled in four different states. Known as a “pioneer homeschooling mom,” Ginny Baker was the second modern homeschooling mother in the nation (as far as is known) and the first in Texas. As interest in homeschool abounded, Mrs. Baker wrote “Teaching Your Children At Home,” the first “how-to” homeschool manual written by a parent who actually did the teaching. Her book sold to parents, missionaries and military families in eight countries. Ginny also compiled the small leaflet, “You Ask Me Why?” with tens of thousands distributed to legislators, parents and educators nationwide. Virginia spoke at many homeschool seminars and other conferences in Texas, Arizona, California, Michigan, Minnesota, Montana, Ohio and Oklahoma; at the first national home education conference in Oregon in 1988; at various regional conferences; and to military parents in Germany. She testified on behalf of home education before the Senate and House education committees of the legislatures of Missouri and Montana, and the State Boards of Education of Arizona, Montana and Texas. She worked with Montana legislators in the rewriting of the state’s 1983 homeschool law. In 1986 she was the first homeschooling parent in Texas to teach her younger son driver’s ed at home. Ginny also was active in the Reading Reform Foundation, the only organization that promoted intensive phonics-only reading programs in the English language, speaking at its seminars in Tampa, Cincinnati and Phoenix. As her children entered and succeeded in secondary and elective education, Ginny became an acclaimed and sought-after authority, especially regarding “college-bound teenagers.” She wrote the foreword to “Home School Defense Manual” (1983) by Dave Haigler, et. al (one of the first books written by attorneys for attorneys defending homeschooling parents in court). 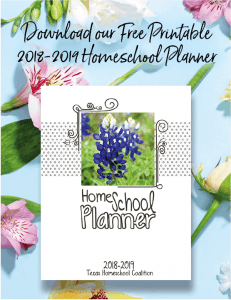 Written articles and book reviews for many national homeschool publications include: “Home Educator’s Newsletter,” “The Teaching Home,” “Home Education Magazine,” “Home School Digest,” several state newsletters, and non-school publications. She contributed chapters to the following books: “The Home School Manual” by Theodore E. Wade, Jr., “Home School Burnout” and “The Successful Homeschool Family Handbook” by Raymond S. and Dorothy N. Moore, and “Research Manual: America 2000/Goals 2000” by James R. Patrick. Ginny has been honored with several homeschool awards, including the “National Home Schooling Award” from Basic Education (Accelerated Christian Education), Lewisville, Texas, in 1983; the “Trailblazers Awards” by Texas Home Educators in 1992; the ”Pioneer Award” at the THSC’s 10th Anniversary Gala in 1996; and “Taking a Stand in Texas” award by the THSC in 2007. Ginny’s interests included genealogy. She was a long-term member with Magna Charta Dames, Daughters of Founders and Patriots of America, and Sons and Daughters of the Pilgrims societies. Forever immersed in research, Virginia was continually writing, covering many topics including politics, history and Biblical studies (with another unpublished book), until Alzheimer’s took her mental acuity. She engaged this battle with such a big smile for many years until the Lord called her spirit home on Sunday, January 20, 2019. Virginia is preceded in death by her parents, Gladys Myrtella Dodge Birt and Charles Leslie Birt, as well as her only sibling, Catherine Leonard. She is survived by her loving husband of 62 years, Chet, and children Juliette Bouma (Louie), Christopher C. Baker, PT, DPT, DC, MS DACBN (Leah), Nancy Grimes (Sammy), and Matthew R. Baker, P.E. (Natasha). Lovingly referred to as “Grammar” by many of her 19 grandchildren and 13 great-grandchildren, she will be sorely missed. We take comfort that she knew and loved her heavenly Father. Our family so appreciates your posting Ginny’s passing. We are so thankful for the way the Lord used Virginia Baker in the modern Christian homeschool movement nationwide. Her writings helped us think through the “why” of homeschooling for our family in the 80s and impacted the direction of our family ministry to homeschool families in Oregon. A true giant of the Christian home schooling movement. One on whose shoulders we all stand.